The client lives in an older historic home. When the customer called, they indicated that in addition to water in the basement, they had been living with a foul, musty order that was penetrating it's way into their house. There were also a fair amount of rodents in the basement. Water had been leaking into our part-dirt, part-cement basement for years and getting progressively worse. 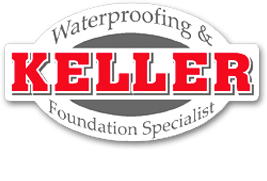 I talked to several waterproofing companies and Keller was the only company that offered a complete solution involving moving water away from the house, French drainage system, building several retainer walls, and using a vapor barrier. The work crew was the absolute best. Hard working individuals, polite and responsive to my questions and requests. This was one of the best experiences I have had with a company doing a major house project. I recommend Keller Waterproofing without any hesitation.